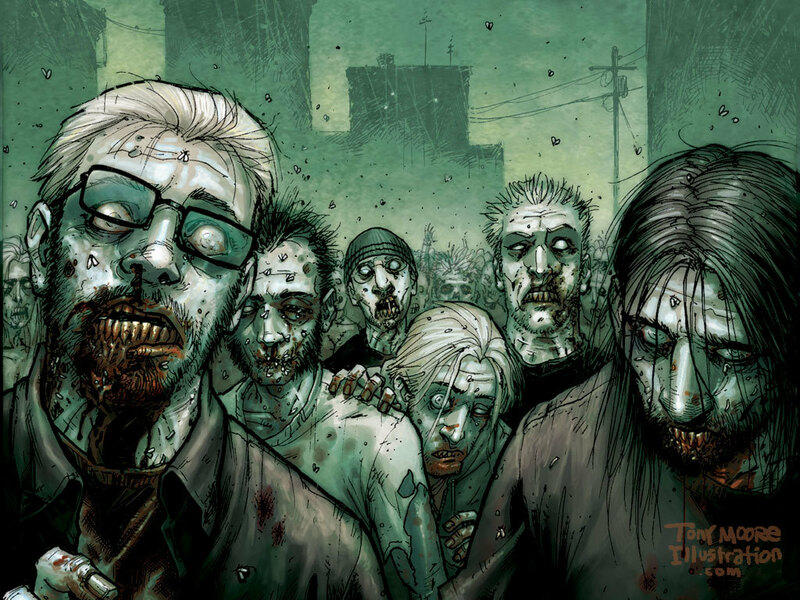 The Walking Dead Comic. . HD Wallpaper and background images in the the walking dead club tagged: amc the walking dead comic book wallpaper walkers zombies post-apocalyptic horror. This the walking dead wallpaper might contain anime, komik, manga, and kartun.